The ways in which a person can earn a living has changed so much over the last decade. 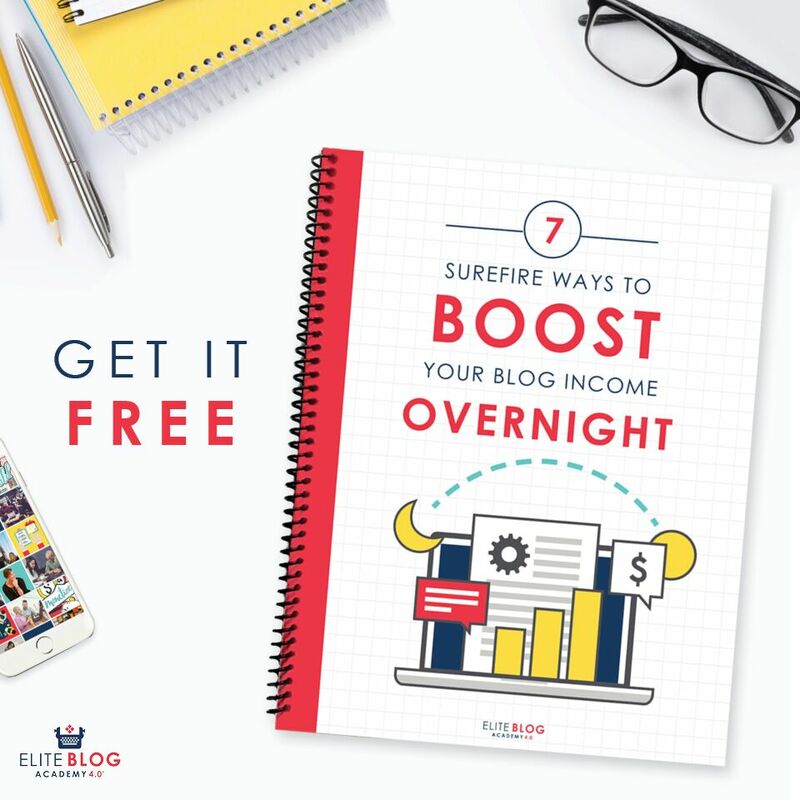 It’s a bit mind blowing all the ways you can earn money from the comfort of your own home and even more mind blowing that you can earn money for just being yourself…………kind of a dream job, right? I predict that over the next decade we’ll see the ways in which you can earn money online drastically change, but also expand. One of the more unique but completely legit ways you can currently earn money online is through social media. There are several different ways you can do this. 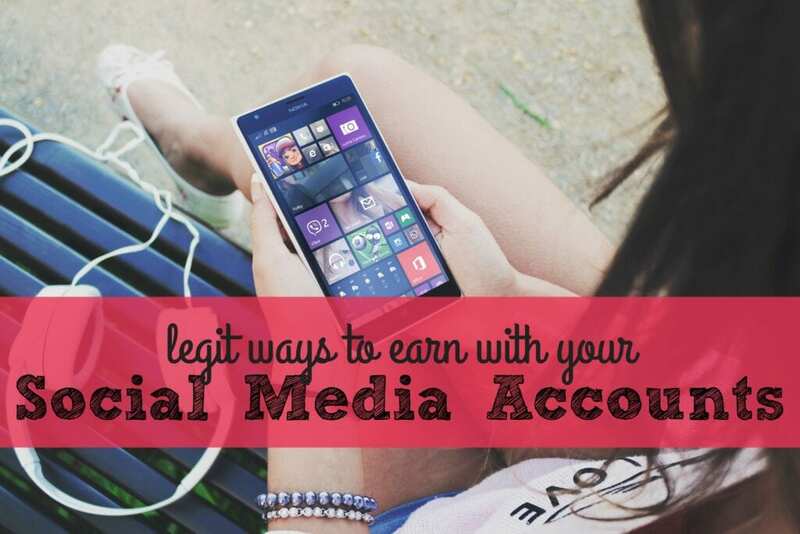 Not all will be a good fit but maybe one of these ways to make money with your social media accounts will work for you. 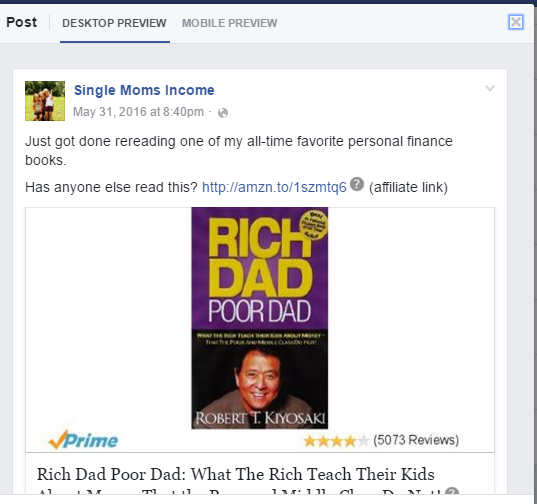 Sponsored posts are posts you put on your social media accounts on behalf of a company. You could be wearing a company’s clothing, using their products in a cooking demonstration, or just posting about your positive experiences with their products or services. The pay for sponsored posts (like anything else) varies widely. Usually the bigger or more targeted your reach the more you’re going to earn. Apply for Sponsored Posts with IZEA – You can apply for sponsored posts through networks such as IZEA. To do this you’ll simply create an account, connect your social media accounts and you’ll then be presented with a list of companies, relevant to you, who are looking to sponsor social media posts. You can look through the list and bid on the opportunities. Earnings can be cashed out via Paypal. Contact Brands Directly – If you’re interested in sponsored posts, have a large social media following and can pinpoint companies you think you could successfully promote, you can contact the brand directly and pitch them your idea and rates. To find the contact info for a brand visit their website, scroll to the bottom and look for a link labeled “PR” or “Media.” If you’re new to doing sponsored posts you may have to begin with a lower than desired rate or accept products or services as payment. Once your first campaign goes well you’ll have results that you can pitch to the next brand to potentially earn more money. Have you ever scrolled through your favorite blogger’s Facebook feed and saw them talking about something cool they found for sale and then noticed this right beside it —-> (aff link)? If so, you’ve witnessed someone earning money (or trying to) by promoting affiliate products on social media. This method generally works the best if you have a fan page of some sort with a large following and can promote products or services that fit that audience. The trick to get this to work is relevancy. If all you do is promote affiliate products most of your followers will likely be annoyed. You need to promote only when relevant. Be careful with this strategy and use it sparingly as you may get your account shutdown for spamming if you do it too often. Many affiliate programs will require you to first have a blog or website set up (here’s how to start one for $12) but not all do. Two popular places to sign up as an affiliate are Amazon.com and Clickbank. You can also use this strategy to promote referral links to places like Swagbucks, Inboxdollars and ThredUp. Note: When accepting sponsored posts or promoting affiliate links you must disclose per FTC guidelines. Read FTC Endorsement Guide. When you watch a YouTube video but first have to sit through an advertisement the creator of that video is a YouTube partner and is earning a little cash from your view. But before you think this is some get rich quick scheme you only make from $5-$8 per 1,000 views with the video ads. (Much less if you use banner advertisements.) This means you’ll need a lot of views and a lot of videos to earn a full-time living. Signing up for the YouTube partner program is a very simple process. You can view the step by step directions here. This last way to earn money off of social media is more indirect than the other options but just as effective. Using social media to promote a product, business or service is a great way to raise awareness and attract customers. I’ve seen firsthand how powerful social media and personal testimony can be in something like direct sales. Social media can also be effective for business (this blog gets tens of thousands of page views from social media) and for selling a service. This options is for anyone who has a business, service or product to promote. If done correctly the use of social media can be a fantastic tool. The strategy and social network you’ll need to use will vary depending upon what you’re trying to promote. Your best bet is to do some research on someone else successful in your field and see what tips you can pick up from their strategies. 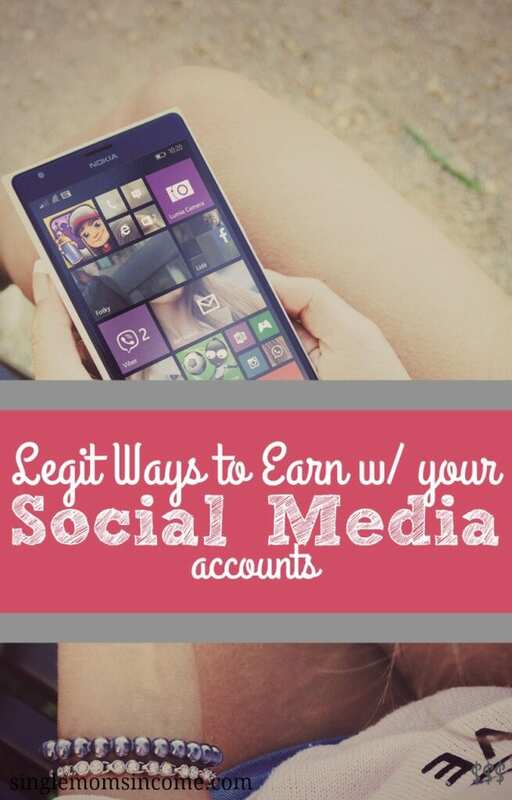 Have you ever earned money off of social media? I’m going to try the affiliate program with amazon. Wish me luck! Thanks for the tip. Another great article, I just want to point out there are many affiliate networks other than amazon or clickbank also look up CPA networks. I think one thing that would work great if you promote a product get it (the product) yourself and make video or images receiving the product,opening and using it. Work!